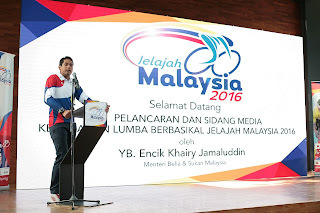 YB Khairy Jamaluddin, Youth and Sports Minister of Malaysia addresses the guests and media. YB Khairy officiates the launch of Jelajah Malaysia 2016. KUALA LUMPUR, Thursday, 15th September 2016 : The Jelajah Malaysia returns with it's 2016 edition set to feature 20 teams from throughout the Asia Pacific region in a five-stage race scheduled from October 18 to 22 covering six states on Peninsula Malaysia. Leading the charge this time will be Malaysia's top team Terengganu Cycling Team (TSG), who are currently fifth in the UCI Asia Tour overall teams rankings and will be taking on some of the best teams in the continental series in the form of star-studded United Arab Emirates outfit Skydive Dubai, Iran's Pishgaman team, South Korea's KSPO and Indonesia's Pegasus Cycling Team. 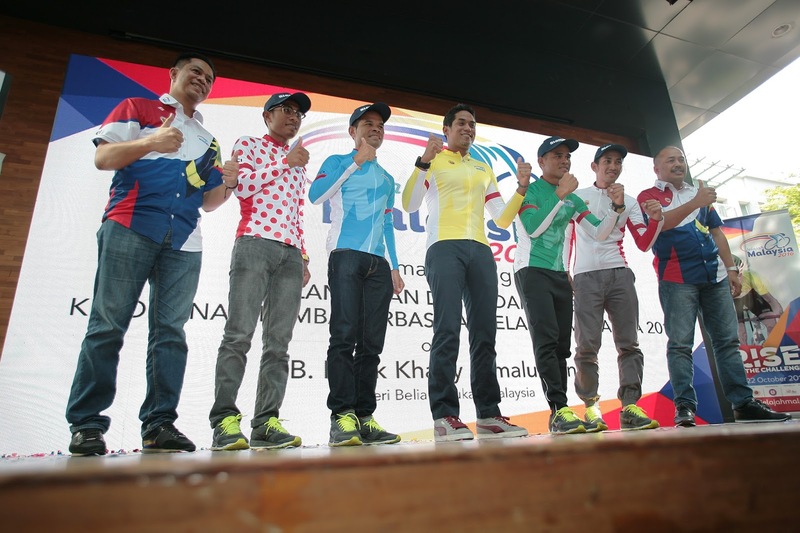 In all, eight of the 21 teams that make up the start list of this edition of Asia's oldest cycling tour, with Malaysia also represented by the NSC-Mycron team, the Malaysian national team, Armed Forces, PDRM, KLCA, Terengganu and Kedah. Making their Jelajah Malaysia debuts will be Laos-registered UCI Continental team Black Inc Cycling Team, Australia's Data #3 Cisco and Indonesia's KFC Cycling Team, with the Indonesian national team making their return alongside the Hong Kong national team, Japan's Kinan Cycling Team, 7 Eleven Sava RVP of the Philippines and Tabriz Shadari of Iran. 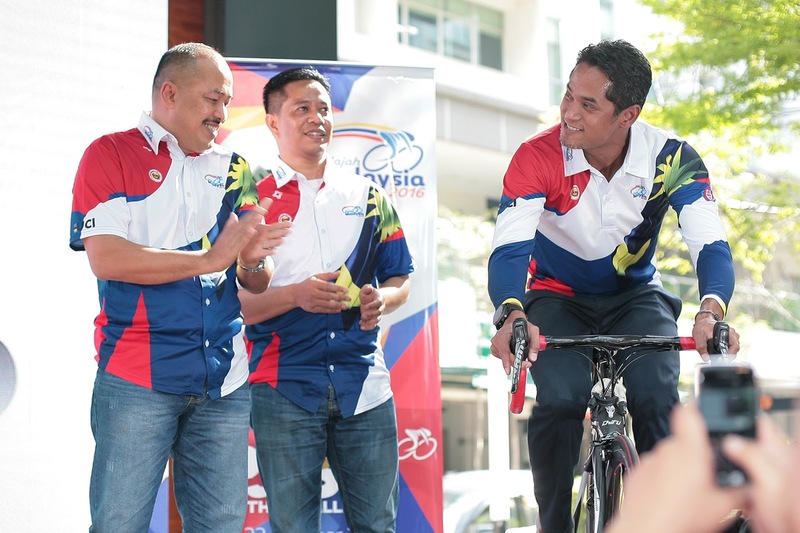 Launched by Youth and Sports Minister Yang Berhormat Encik Khairy Jamaluddin Abu Bakar today, the race will bring the peloton from the Federal Territory of Kuala Lumpur through Selangor, Kelantan, Perak, Terengganu and Pahang, visiting 10 different start and finish venues along the way. Organised by the Malaysian National Cycling Federation (MNCF), with endorsement of the Youth and Sports Ministry and the National Sports Council (NSC), this edition of the Jelajah Malaysia is again managed by Peloton Resources with Gerakan Belia Gagasan 1Malaysia (GBG1M) as event partner. 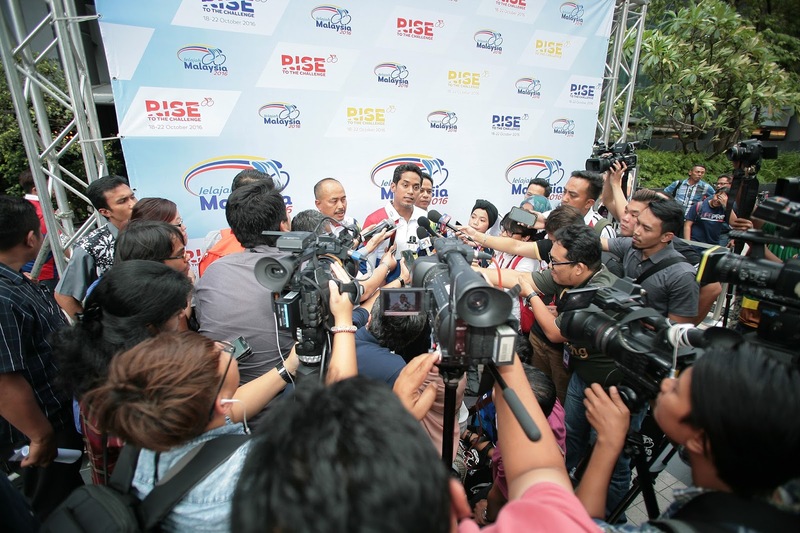 The Jelajah Malaysia 2016 is sanctioned by the International Cycling Union (UCI) as a 2.2 status event on the UCI Asia Tour calendar and aims to be a platform for the overall development of cycling in the region. 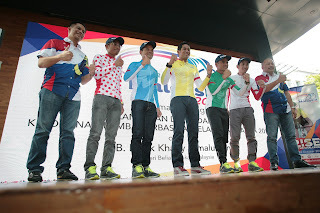 Jelajah Malaysia is Asia's first international cycling stage race, initiated by the Asian Cycling Confederation (ACC) upon its establishment by founder Mr Gurchan Singh Gill in 1963 as a platform for the training and preparation of Asian cyclists competing in the 1964 Olympic Games in Tokyo. The jerseys in contention being presented. YB Khairy Jamaluddin answers questions from the media.